During the last week of January, I was in Rome and Assisi. Cardinal Peter Turkson, head of the new Dicastery for Promoting Integral Human Development, opened a meeting on investment/divestment saying, “move fast, move slow, but please move” when it comes to promoting energy conservation, renewable energy and divesting from fossil fuel companies. Several representatives of U.S. religious and secular organizations offered stirring calls to action, sending clear signals that despite the many challenges we face today, unstoppable market forces are driving energy solutions to climate change. Our Catholic Covenant Energies program is one way the Covenant is responding to this call. The next several days were spent in Assisi with Catholic leaders from around the globe as part of a strategic planning process for the Global Catholic Climate Movement (GCCM). The Covenant and several of our partners are proud participants in this global effort to encourage prayer and action on the challenges of Laudato Si’. On January 31, we celebrated Mass at the tomb of St. Francis. Each of you were in my thoughts as I reflected on the blessings of working with you to care for our common home. I thanked St. Francis for his inspiration that has led to the amazing work you do in your communities to live and act more in keeping with the limits of our wonderful yet finite planet. Stay tuned for more on GCCM’s refined mission and activities in the months ahead. We are almost at 10,000 signatures! Will you add yours? This is the final call for signatures for the petition asking President Trump’s administration to “Protect Creation”. “Demonstrate bold leadership in addressing the climate crisis by honoring the Paris Agreement, contributing to the Green Climate Fund, and implementing the Clean Power Plan." We are especially thankful for the amazing outreach many of you have done within your communities, especially to those organizations who endorsed and shared the petition and all who sent us names collected through paper petitions. If you missed the January webinar, “The Trump Administration and Creation Care: Challenges and Opportunities”, we invite you to watch it here. 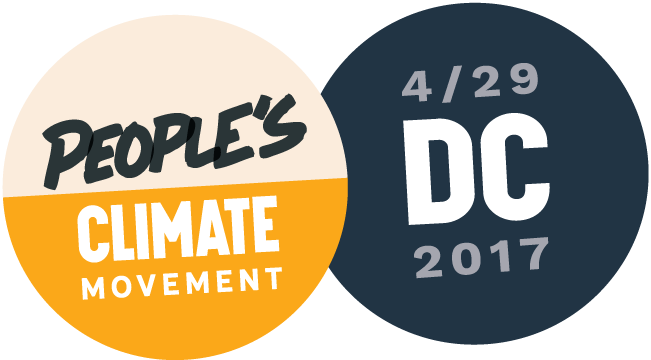 People’s Climate March- JOIN US ON APRIL 29th, 2017! REMINDER! Plans are underway for a massive march on April 29th, 2017, in Washington, D.C. calling upon Congress to take action on climate change and create jobs, healthier communities, and a better future. While the Covenant is not an official sponsor of the march, we nonetheless want to ensure that a robust Catholic voice is heard at the gathering and by our elected officials. We invite you to join us and other Catholics to lift up both creation and the poor. We hope you will walk side by side with us and then join us afterward for fellowship and reflection. If you are traveling to Washington, we strongly encourage you to make the most of your time by meeting with your Senators and Representative on Friday. For those interested, Catholic Climate Covenant will offer an advocacy training session on Friday morning, April 28th. Please click here to let us know you are planning to attend the march or the Advocacy Training. Will your parish, school, or religious community celebrate Earth Day this year? Many parishes and schools are already making plans for celebrating Earth Day around April 22nd. Register to receive the 2017 Earth Day Program Guide. Our Earth Day theme of, “Know the Creator Through Creation” complements the Earth Day Networks’ 2017 focus on climate literacy. The program will help your community understand how the fullness of God is reflected in all of creation and how we are responsible for safeguarding the Creator’s handiwork. The 2017 Earth Day program guide is being prepared now. It will include lesson plans for various age groups, and will be emailed to you by early March if you are registered. Bishop D'Silva, recently appointed Auxiliary Bishop of Mumbai, has taken the motto "Care for Creation” to guide his episcopacy. 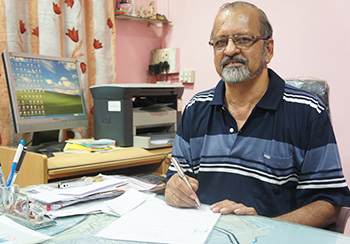 Bishop D'Silva has dedicated his life to working with the poor and advocating for the environment. He sees his appointment as a “recognition of the Church for justice and environment issues.” Before his appointment he was Secretary of the Climate Change Desk for the Federation of Asian Bishops' Conferences. 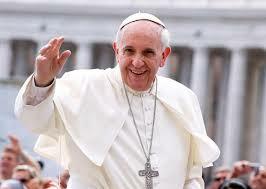 A new study led by Cornell University communication researchers found that Pope Francis’ framing of climate change as a moral issue has helped shift views, especially among the more politically conservative. You can find the full study here. Our partner, the Global Catholic Climate Movement, invites you to celebrate Mercy to Earth Weekend on April 22nd and 23rd. Given the coincidence that Earth Day is April 22nd and April 23rd is Divine Mercy Sunday, #Mercy2Earth Weekend is a global campaign to encourage Catholics to reflect on Pope Francis’ important “Show Mercy to Our Common Home” message and put it into action. Register to receive resources for your parish and community. Two Upcoming Conferences May be of Interest to You! 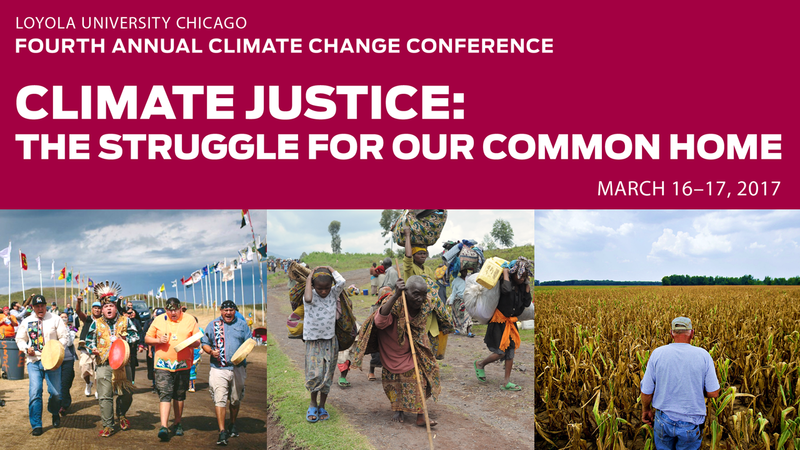 This year's conference will focus on the nexus of food, water and poverty issues associated with global climate change. The keynote speaker will be Mary Robinson, who has served as the President of Ireland, the UN Commissioner of Human Rights, the UN Secretary General’s Special Envoy for the Great Lakes region of Africa, and the UN Secretary General’s Special Envoy on Climate Change. She will present on The Nexus of Food, Water, Poverty, and Climate Change. Dan Misleh has also been invited to share the good news of our work with you. For more information and to register go here. June 24 - July 1, 2017 Star Island, Portsmouth, NH. The conference will tackle climate change as multigenerational, transnational “wicked problem” with no single, simple solution. Hear from a multitude of speakers grapple with the economic, ecological, ethical, and technological causes and consequences of climate change.